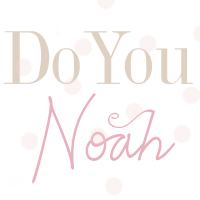 doyounoah: What is in my changing bag? 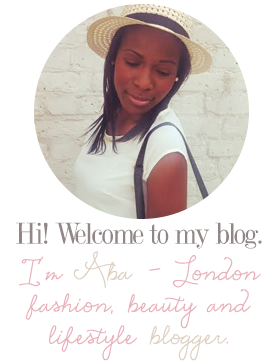 Whilst I was pregnant I loved watching "what's in my changing bag" YouTube videos and reading blogger posts. It was so useful to know other people's baby essentials and tips on what to pack but despite picking up all this useful information, I really struggled to find a changing bag I liked. So when I came across a photo of a Jem and Bea bag on Instagram, I knew I had found the perfect changing bag. Designed by two Mums, Dominique and Rebecca, they found themselves frustrated with the lack of stylish changing bags available for parents so they set out to create the perfect collection. And they certainly have! The designers have redefined the baby changing bag market and their collection is far from the "mumsy" looking nappy bags we're so used to seeing. Unlike most changing bags the Beatrice tote is not only beautifully designed but a functional bag too. Available in two colours, orange and taupe, the stylish bag is made of butter soft leather and is both practical enough to fit all your essentials such as a changing mat, nappies, bottles but also stylish enough to wear as an everyday bag or even for a night out. The bag is very well designed with handy wipe clean lining and features five interior pockets with a zip compartment for valuables, thermo bottle pocket, separate mobile phone compartment, a dustbag and also includes a luxury padded changing mat too. There's even a detachable cross body strap included plus buggy clips available separately. So if you are looking for a stylish luxury changing bag, the Beatrice Taupe ticks all the boxes. It's definitely not the cheapest changing bag on the market but it manages to combine both style and practicality with great success, so in my opinion it is absolutely worth the cost and i'm so pleased with mine! Pampers newbaby sensitive - These newborn nappies combine both dryness and softness and clinically tested to be mild on a newborn baby's skin. Best of all they have a very handy "Wetness indicator" that turns blue when your baby pees. Water wipes - These are chemical free baby wipes suitable for newborns and great for nappy rash and other sensitive conditions. Aden and anais swaddle blanket - These muslin swaddling blankets are 100% cotton super light, soft and breathable, so they allow baby's body temperature to regulate naturally, helping to reduce the risk of overheating. Spare vest and sleepsuit - babies are prone to having leaks and other accidents so I always ensure to have a change of clothes just in case. Because of the warm weather, I've included a sun hat to keep baby's face shaded. Elephant rattle - This soft rattle is the perfect toy for a newborn, where tiny hands can shake the elephant to make it rattle. Too cute! Would love to know what is in your newborn's changing bag? Jem and Bea collection is available to buy here. This bad is BEAUTIFUL, I saw your little snippet on snapchat and wondered which bag it was. Hope you're both doing well lovely! Wow what a gorgeous bag, I love it!